Since we moved to Madera and signed up for our weekly CSA box, I don’t make it to Fresno farmer’s markets nearly as much as I used to. But this morning I got up early and headed down to The Vineyard Farmer’s Market with my aunt and cousin to do some shopping and visiting. 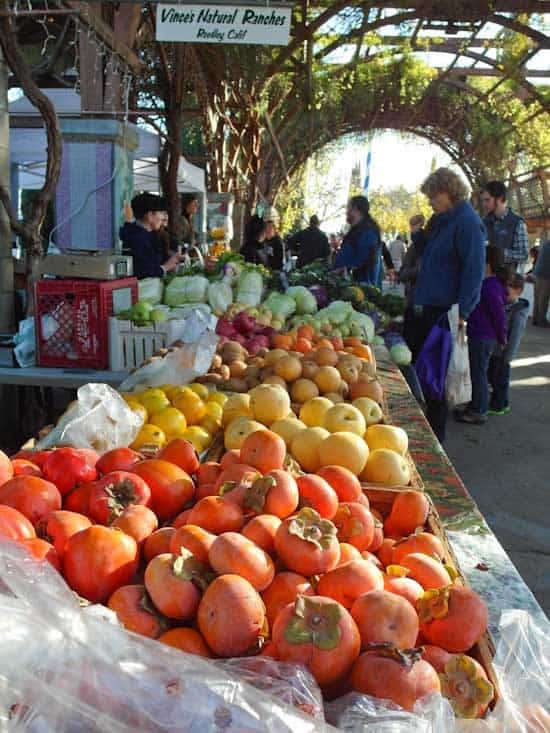 It turned out to be an absolutely beautiful Fall morning and my favorite outdoor market under the arbor was filled with vibrant produce and people, just as I remembered it. 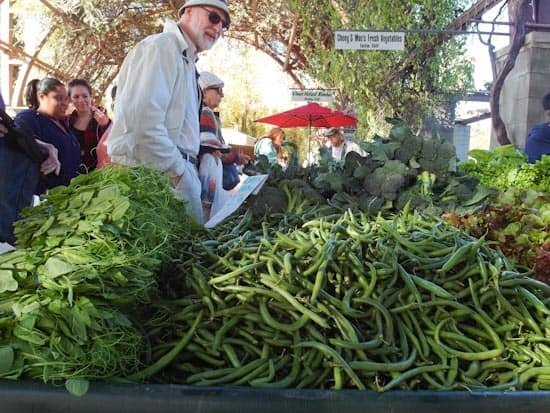 There were plenty of green beans still available for those making casseroles from scratch this Thanksgiving. 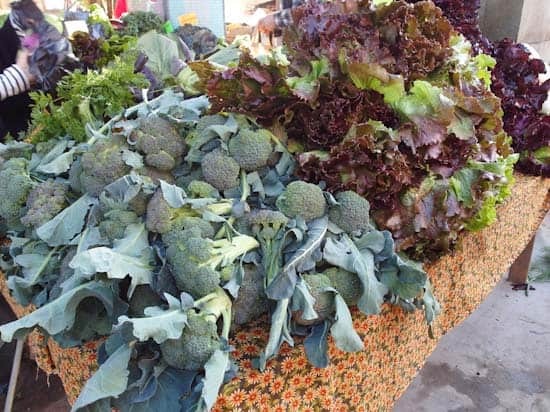 The piles of fresh-cut broccoli and vibrant lettuces were enticing even though I have both in my fridge right now – this is why I have to be careful at the market! 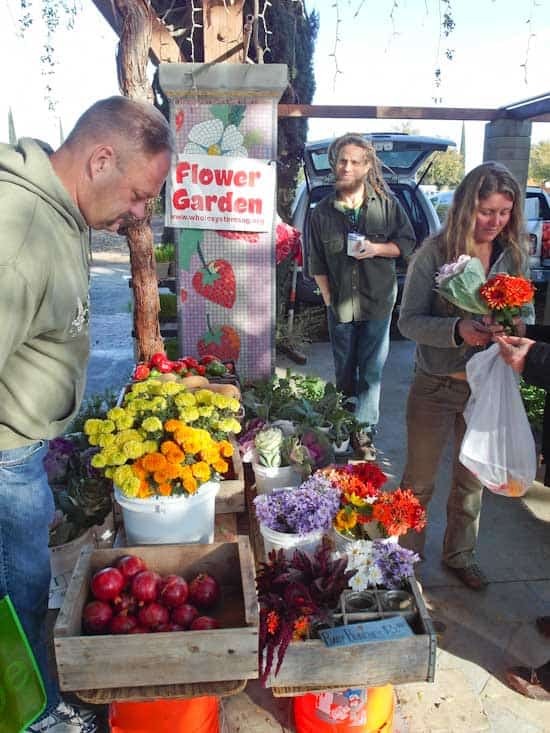 There is always a nice selection of cut flowers at the market – large bunches, small bunches, and even baby bunches. And of course, pomegranates. This is where I bought a nice, big t-bone steak as a surprise for Phil. She had several cuts of steaks and roasts today as well as some organ meats if you’re into that kind of thing. 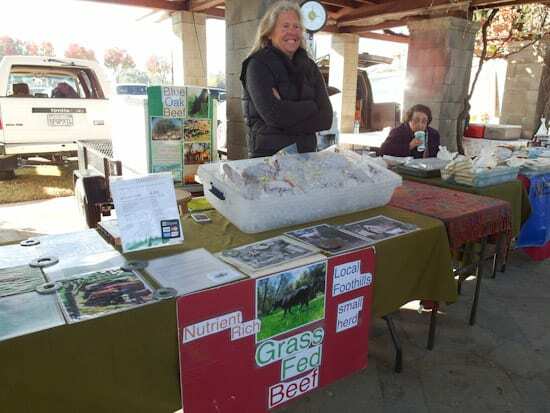 There was other local, pastured meat available at the market as well – Page River Bottom Farm is now selling Berkshire pork. I bought some leaf lard from them today and my aunt bought some pork chops, which she just informed me via text message were absolutely delicious for dinner. 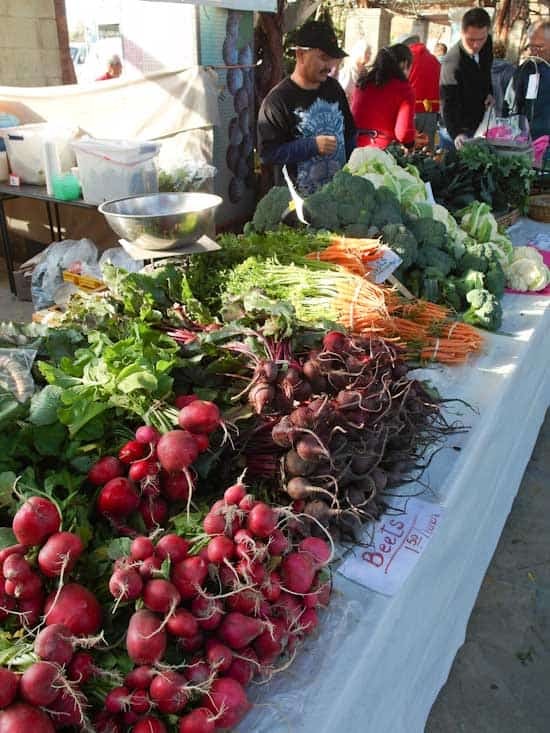 These tables were filled with greens, beets, onions, radishes, turnips, eggplants, and more. And in the background, Perfect Edge Knife Sharpening will sharpen your knives while you shop. He does a fantastic job, by the way. The baby beets and carrots were too cute to resist. I bought one bunch of each and roasted them for dinner tonight. The carrots didn’t even make it to a plate… I stood over the roasting pan and ate them one by one (burning my fingers a bit) until I realized they were gone. See? How could I resist these carrots? We haven’t hit peak citrus season yet, but some varieties are already showing up. 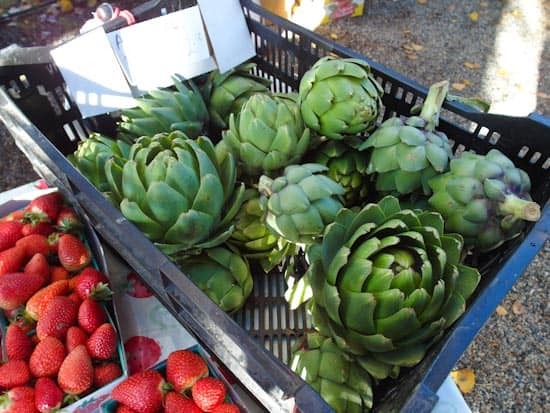 Artichokes and strawberries in November… yes, I know how lucky I am to live in California! Bob’s Honey is my favorite honey. 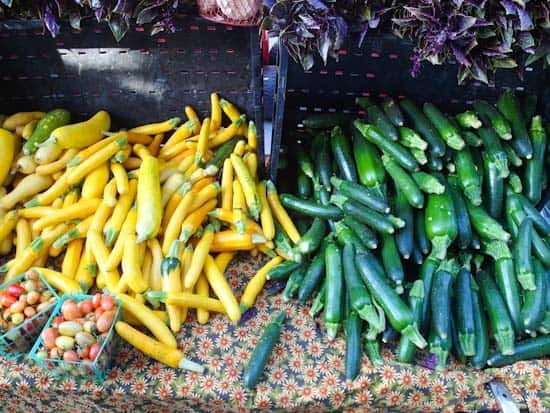 For those of you who didn’t get sick of summer squash during the summer… here you go. 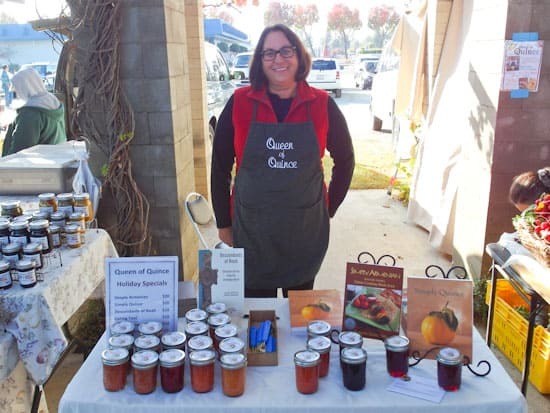 And today the Queen of Quince, Barbara Ghazarian was at the market selling her cookbooks, quince coring tools, and various quince preserves. I bought her book Simply Quince a couple years ago and it’s really a great resource if you have any interest in learning more about this unique and fragrant fruit. 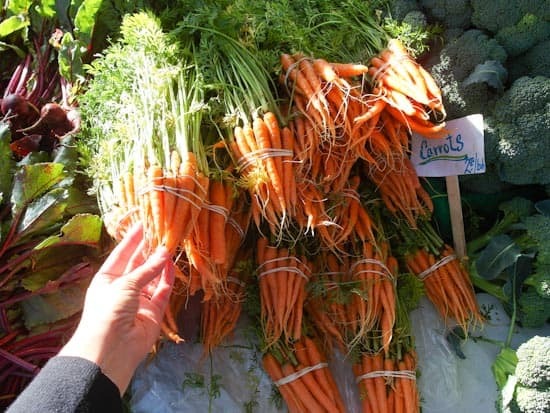 The amazing thing is that these photos only captured part of what was available at today’s market – the variety and quality is really incredible. 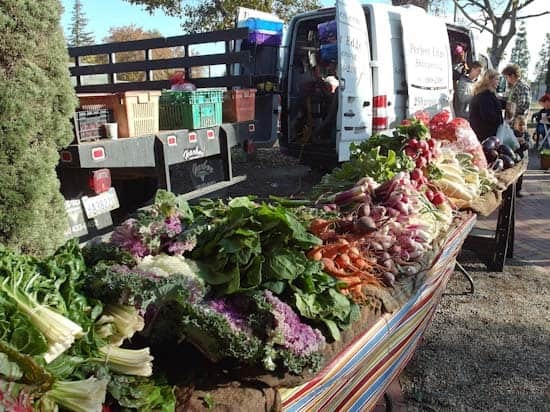 The Vineyard Farmer’s Market is on the northwest corner of Blackstone and Shaw in Fresno and is open on Saturdays from 7am – Noon and Wednesdays from 3pm to 6pm, year round. I want those persimmons, flowers, pomegranates, artichokes and beets! Lovely Photos. 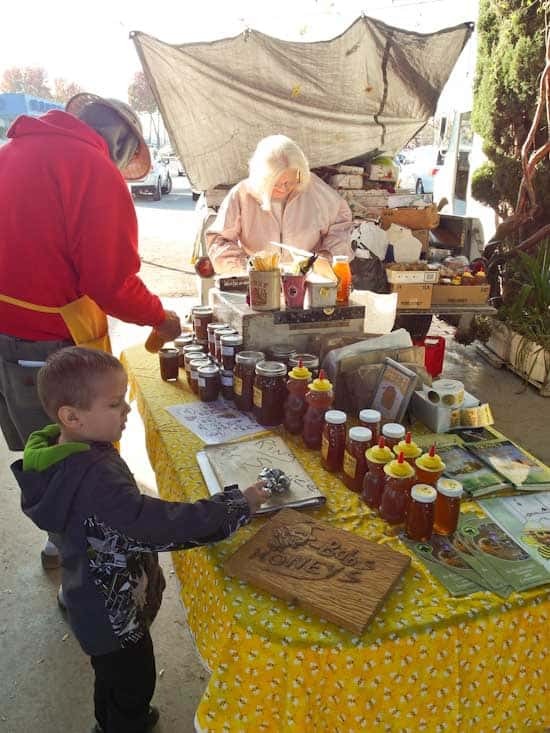 You captured the abundance and beauty of the Market perfectly! Everything looks great, love those nice looking broccoli! Our town's farmers market is over for the season. I am really lucky to have a little health food store which sells tons of local produce. For a small town, we really are spoiled. 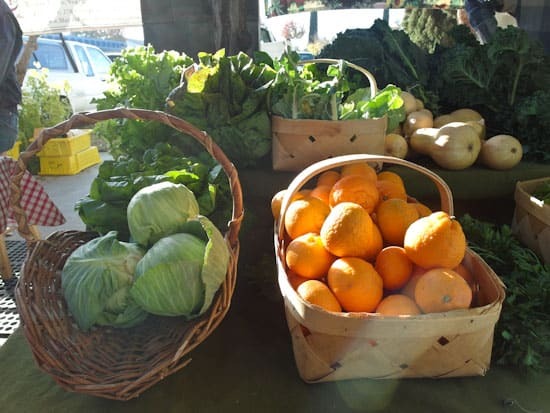 Every few weeks, I make the trek to Santa Rosa to go to their (amazing) farmers market. We really are lucky to live in California. Your pictures make me want to head to a market tomorrow. Happy Weekend, friend!